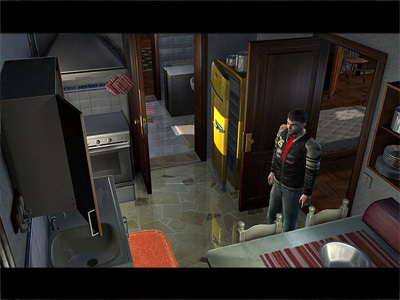 Belief & Betrayal is a point and click third person adventure puzzle game. While outside of my usual gaming comfort zone, I was intrigued by the premise of the title. As anyone who knows me is aware, I am a research addict, and historic mysteries are one of my favourite research topics. The storyline opens with our main character, journalist Jonathan Danter preparing for a trip to Florida, where he will be interviewing Cardinal Gregorio, a seemingly questionable representative of the Vatican. While preparing for the trip, Jonathan receives a disturbing call from Scotland Yard. The caller, an Inspector Twining, tells Jonathan that his uncle has been murdered and that he is afraid Jonathan’s life may be in danger. Jonathan argues with the officer, stating that his uncle had died ten years previous, but the Inspector insists that Jonathan come immediately to London. Almost as soon as he arrives in England our young hero is thrust into the secret world of ancient societies and intrigue. He quickly finds out – much to his disbelief and chagrin that his uncle had faked his death due to his involvement with a secret Vatican police force – and there had been several other unsolved murders related to this secret service and a society known as The Legacy. 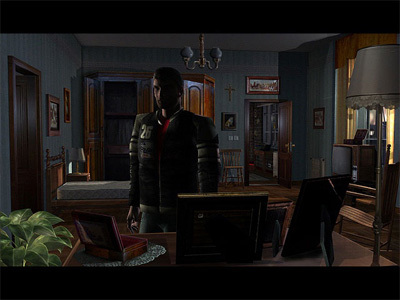 After an interview with Inspector Twining, Jonathan visits his uncle’s apartment where he begins to search for clues about what his uncle was working on. It is during this visit that Jonathan meets with a shady Scotland Yard detective who appears to be involved in the murders – as the murderer – and a young lady named Kat who works for The Legacy, who rescues Jonathan from the deadly detective. Jonathan then becomes involved with The Legacy, searching across Europe for clues to the mystery, finding the answers in Chartres, France. 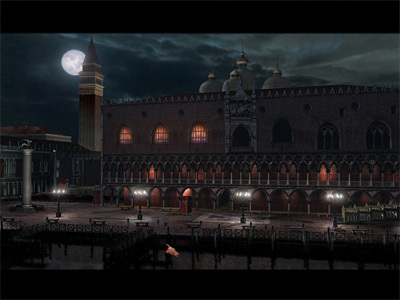 Throughout the game, you are given the ability to play as several different characters, each with missions to complete. The characters are able to communicate using a secret device which allows the sending of short movies, photos and emails. The controls and game features such as the inventory, journal and main menu are intuitive and easy to use. Sound effects, music and vocal levels can be manually set; one feature I like to see in any game I play is the option to not play at full screen. Unfortunately Belief and Betrayal does not offer that option. 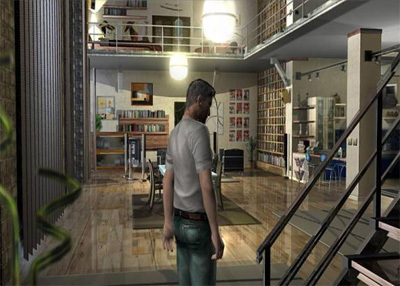 While I enjoyed the premise of the game as well as playing the game – everyone loves a good mystery – I was at times put off with the slow gameplay. I did learn early on to thoroughly search locations, but I sometimes found it equally frustrating to have to repeatedly click on an area to find what I needed, particularly in the darker scenes. I also felt that the voice-acting for our main character did not fit his description – he is supposed to be a fast-living, hard-core journalist but I found his voice to have been more fitting for a teen-aged skateboarder and just not believable. The storyline itself seemed to have small holes in it, and conclusions were reached without adequately covering how that conclusion was reached, while sometimes characters were sent on small missions which were pointless, such as Kat’s fruitless search for a hotel in Chartres. If more detail had been added in regards to fully utilizing the locations and a fuller storyline, I think this game would have taken me much longer than it did to play through and I would’ve enjoyed it much more. 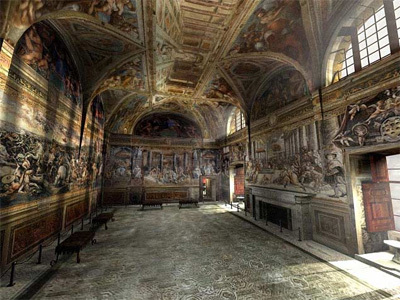 I truly appreciated the artistry which had gone into the game environment – the details and realism put into the building architecture and features such as the frescoes was phenomenal. I would’ve definitely liked to have seen more storyline taking advantage of these fantastic locations. The attention to historical detail and the research which went into this game is very apparent and worthy of high marks. I also enjoyed the music tracks played throughout the game; they were neither overdone nor repetitive and irritating as has been the case in similar games. In fact I found the music to be very well written, layered and produced. With so much attention paid to the details of the environment, it was disappointing that the plot-line and characters weren’t as well developed as I felt they could have been. Many times the characters appeared out of sync with their surroundings and what they were supposed to be doing, and handed each other invisible objects. That said, I enjoyed solving each of the puzzles in their turn – some of them were quite imaginative and took a bit of thought to solve – again, I just wish there had been more of them, and a way to increase the re-playability of the title. All in all, I did enjoy the sum of all the parts which came together to form the full game experience. Belief and Betrayal makes for a few hours of puzzling diversion, and may perhaps even encourage some of its players to learn more about the intriguing nature of the Golden Ratio, Chartres and the other historical references introduced during game play. This entry was posted on Sunday, September 28th, 2008 at 1:03 am and is filed under Game Reviews, Mature, Puzzle. You can follow any responses to this entry through the RSS 2.0 feed. You can leave a response, or trackback from your own site.